Videojet Technologies, a global leader in coding, marking and printing solutions, has taken an innovative approach to Print & Apply labeling LPA design with the Videojet 9550 to address and fix the common causes of lost productivity. This new design removes the mechanisms that frequently cause everyday operational problems, such as label jams and routine manual adjustments. 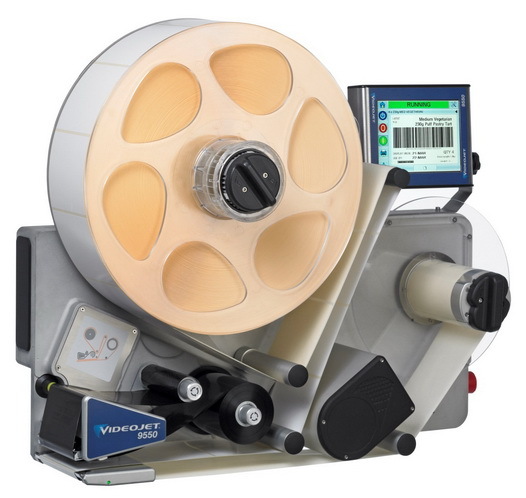 Ondrej Kruk, global business unit manager at Videojet adds: "The 9550 with Direct Apply places the label onto the pack without the need for a tamp or air blast applicator, achieving throughput of up to 150 packs per minute for typical 4" x 6" GS1 barcode labels. This means it never misses a label, even after line build-backs." By incorporating Intelligent Motion technology, the entire system is precisely and electronically controlled, targeting zero unscheduled downtime on production lines. "Customer feedback about lost production time made it clear that there was a need for advanced labelling technology to improve operating performance. In response, we designed the new Videojet 9550 LPA system incorporating Intelligent Motion technology," said Steve Buckby, vice president of Innovation at Videojet Technologies. "Intelligent Motion technology enables all the design elements of the machine to be automatically controlled with precision, allowing us to simply take out the parts and adjustments that make most other labelling machines fail." Manual adjustments are one of the main causes of daily operational problems, resulting in costly downtime and production loss. The direct drive system, with Intelligent Motion technology, feeds and places labels accurately even at high line speeds without the use of manual adjustments, clutches or nip rollers. No adjustments means that only two operator touches are now required to manage job selection and web changeover, complemented by a collapsible mandrel to ensure quick label changes. 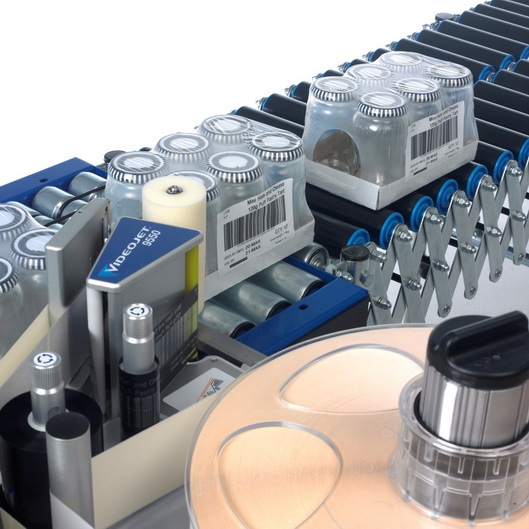 The Direct Drive system with Intelligent Motion technology, unlike conventional print & apply labellers, controls the entire label path ensuring web tension is maintained from start to finish, irrespective of speed or label size. The unique ability of the new Videojet 9550 Direct Apply system removes the need for complex applicators for mainstream top or side label applications, reducing the number of labels being incorrectly applied or mangled during application. Requiring no factory air, the new system is the only solution to print and directly apply labels to cases and trays at high speed. The 9550's print engine also incorporates Intelligent Motion™ technology for precise ribbon feed and printhead control, ensuring optimum print quality and improved performance. Through use of a clutch-less ribbon drive, the 9550 substantially reduces ribbon waste and improves printhead life. The trends toward increasing retailer and regulatory requirements and increasing SKU complexity is a main concern for manufacturers seeking to safeguard their operations from costly labelling errors. 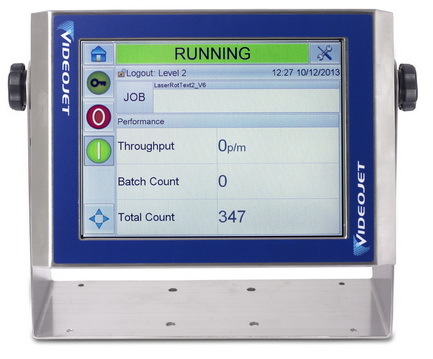 In order to help manufacturers improve quality and adhere to applicable standards, the 9550 comes equipped with the Videojet industry-leading CLARiTYtouch screen interface, which includes intuitive job selection, comprehensive feedback and diagnostics to minimize human error. This single, easy-to-use interface provides manufacturers with built-in Code Assurance solutions that focus on getting the right label on the right case, time after time. 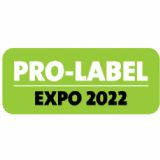 Kruk commented "With virtually zero unscheduled downtime and the highly-reliable Direct Apply label placement, we can finally give customers what no other labeller has been able to provide for the past 20 years. The application of Intelligent Motion technology to eliminate the mechanical adjustments used in everyday operation reduces manufacturers' hidden costs and drives productivity gains."